The 4-item CAGE questionnaire is the briefest effective screening test for lifetime alcohol abuse/dependence, but it is not sensitive for detecting heavy drinking and does not distinguish between active and past problem drinking. The AUDIT-C is more effective in identifying this population. AUDIT-C can be included among standard history questions or general health intake questionnaires in primary care, emergency department, psychiatric and inpatient hospital settings. AUDIT-C is a 3-item alcohol screen that can help identify persons who are hazardous drinkers or have active alcohol use disorders. The AUDIT-C is a modified, shortened version of the 10-question AUDIT instrument. Its briefer design makes it more practical for incorporation into routine patient interviews or health history questionnaires in a primary care setting. AUDIT-C is a screening tool. An abnormal or positive screening result may thus “raise suspicion” about the presence of an alcohol use problem, while a normal or negative result should suggest a low probability of an alcohol use problem. Assessment for purposes of diagnosis occurs in subsequent stages of evaluation. How many drinks containing alcohol did you have on a typical day when you were drinking in the past year? When screening results are positive, the patient should be referred for further evaluation and treatment of an alcohol use problem. This will vary based on available resources but is ideally to an addiction psychiatrist, psychologist, or addiction treatment program. The AUDIT-C (Alcohol Use Disorder Identification Test) quantifies alcohol misuse, based on 3 questions posed to patients about their consumption habits. It was adapted from the longer AUDIT, which is mainly used in primary care settings. Males: Scores ≥4 suggest alcohol misuse. Females: Score ≥3 suggest alcohol misuse. Higher score correlates with greater severity of alcohol misuse. The AUDIT was developed by the World Health Organization (WHO) as a simple method of screening for excessive drinking and to assist in brief assessment. It was first published as a manual in 1989, and most recently updated in 2001. The AUDIT-C was developed in 1998 due to the recognition that the 10-question length of the AUDIT made it unlikely that primary providers would incorporate it into routine patient interviews or general health history questionnaires. In studying a VA primary care setting, they found that although the full AUDIT performed better than AUDIT-C for detecting active alcohol abuse or dependence (0.811 vs 0.786;P<.001), the 2 questionnaires performed similarly for detecting heavy drinking and/or active abuse or dependence (0.880 vs 0.881). This validated the AUDIT-C for use in detecting heavy drinking and active abuse/dependence. This was a cross-sectional validation study that compared several types of alcohol screening questionnaires with standardized interviews in a primary care setting. The AUDIT-C, full AUDIT, self-reported risky drinking, AUDIT question #3, and an augmented CAGE questionnaire were compared with an interview primary reference standard of alcohol misuse, defined as a DSM, 4th ed. alcohol use disorder and/or drinking above recommended limits in the past year. The results indicated that AUDIT-C was an effective screening test for alcohol misuse in this primary care sample, with optimal screening thresholds for alcohol misuse among men (≥4) and women (≥3). The first validation article utilized primarily a CaucasianWhite population. This article evaluated the validity of the AUDIT-C among primary care patients from an expanded group of racial subgroups including CaucasiansWhites, African Americans, and Hispanics. Areas under the receiver operating curve (AuROCs) evaluated overall AUDIT-C performance in the 3 racial/ethnic groups compared to diagnostic interviews for alcohol misuse. The overall performance of the AUDIT-C was excellent in all 3 racial/ethnic groups as reflected by high AuROCs. Babor TF, Higgins-Biddle JC, Saunders JB and Monteiro M. AUDIT. The Alcohol Use Disorders Identification Test: Guidelines for Use in Primary Care. Geneva: World Health Organization, 2001 (Second Edition). Bush K, Kivlahan DR, McDonell MB, Fihn SD, Bradley KA. The AUDIT alcohol consumption questions (AUDIT-C): an effective brief screening test for problem drinking. Ambulatory Care Quality Improvement Project (ACQUIP). Alcohol Use Disorders Identification Test. Arch Intern Med. 1998 Sep 14;158(16):1789-95. Bradley KA, et. al. AUDIT-C as a brief screen for alcohol misuse in primary care. Alcohol Clin Exp Res. 2007 Jul;31(7):1208-17. Epub 2007 Apr 19. Frank D, DeBenedetti AF, Volk RJ, Williams EC, Kivlahan DR, Bradley KA. Effectiveness of the AUDIT-C as a Screening Test for Alcohol Misuse in Three Race/Ethnic Groups. Journal of General Internal Medicine. 2008;23(6):781-787. doi:10.1007/s11606-008-0594-0. Kitchens JM. Does this patient have an alcohol problem? JAMA. 1994 Dec 14;272(22):1782-7. PubMed PMID: 7966928. Centers for Disease Control and Prevention. Alcohol use and health. 2014. Klatsky AL, Armstrong MA, Friedman GD. Alcohol and mortality. Ann Intern Med. 1992;117:646-654. PubMed PMID:1530196. The Physicians' Guide to Helping Patients With Alcohol Problems. Washington, DC US Dept of Health and Human Services, Public Health Service, National Institutes of Health, National Institute on Alcohol Abuse and Alcoholism, 1995. Katharine Bradley, MD, MPH, is a senior Investigator at the Group Health Research Institute and concentrates on identifying and addressing unhealthy alcohol use in primary care. 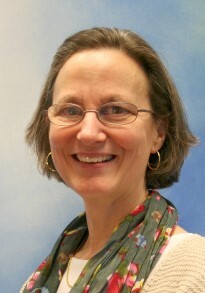 She is currently leading the NIH's Alcohol Abuse and Alcoholism Study. Formerly, Dr. Bradley worked at the Veterans Affairs (VA) Puget Sound Health Care System, where she practiced primary care for over 15 years.